Background: Delirium regularly takes place in hospitalised older grownups leading to bad results and frequent adverse activities. 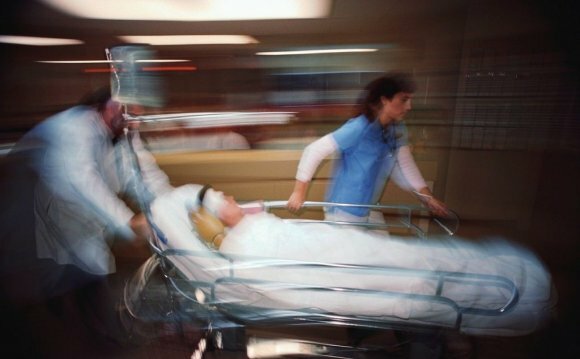 Proper recognition and handling of delirium by intense treatment nurses can reduce the consequences of unfavorable sequelae of delirium. Aim: This pilot study used focus team methodology to: (i) describe severe care nurse’s experience and knowledge regarding assessment and management of delirium in hospitalised older grownups; (ii) illustrate potential facilitators and barriers to non-drug management of delirium; and (iii) to explicate the application of non-drug treatments by intense treatment nurses to control delirium in hospitalised older grownups. Practices: a complete of 16 nurse individuals, focusing on health, medical and orthopaedic products from intense care hospital participated in two focus teams. Results: Main motifs included the immediate following: confusion is normal; our task is protect; and finding a balance. Nurses could identify non-pharmacological interventions for delirium and facilitators and obstacles to making use of these in clinical practice. Conclusions: conclusions from this pilot research illustrate the need for regular evaluation of cognitive standing in hospitalised older grownups and nursing staff education concerning the use of non-pharmacological handling of delirium. According to their particular experience, nurses have actually a great deal of some ideas for managing delirium. Areas for future research and plan will also be highlighted. Implications for training: even more scientific studies are required on how to improve delirium management by acute attention nurses to improve the effectiveness and employ of non-pharmacological treatments into the handling of delirium in hospitalised older adults. To convert these results into rehearse, nursing treatment needs to be guided by evidence-based instructions to make usage of non-pharmacological methods in intense treatment setting.